It really easy to solve it. You only need to do factory reset or hard reset your device using external hardware keys. Remember you can not perform a hard reset from Settings menu because you can not enter the system normally. How to hard reset your Samsung device using external hardware keys. Most of Samsung Android device have the same way to perform a hard reset. 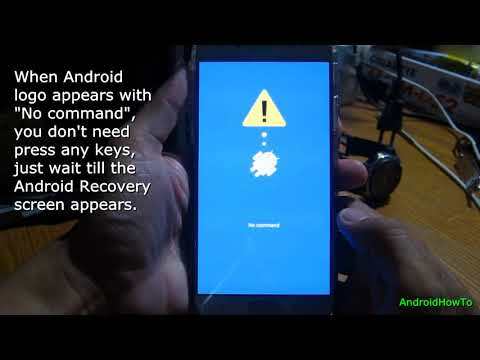 First, you need to enter Recovery Mode ( Android System Recovery ) by pressing combination of the keys together. If you can not turn power off normally or the battery is non removable, you can do force shut down: Press and hold volume down key + Home key ( Bixby key ), while pressing these keys press and hold power key. Release all keys when the screen goes blank. Perform a hard reset will fix your Boot Loop. I often do this when got boot loop. So don’t be panic, that you need to do is entering Recovery Mode and perform a hard reset. I did this and STILL stuck, PLEASE HELP! The last way, I suggest you to flash the firmware with original firmware. Can help to fix bootloop? What about the galaxy tablets? Don’t have home key, just power and volumen?? The recovery mode does not appear on my samsung is there any other way? Unlock your device bootloader. We can not enter Recovery Mode if the bootloader is locked. hello, but device is bootloop and has no acces to sistem, how can he unlock device bootloader? If there is available for your device, you can use it, but make sure the firmware version is match your model number. Flashing your device with stock rom that match with your model number. Save your money 🙂 Read it at https://www.recovery-mode.com/root/how-to-root-samsung-galaxy-tab-a-9-7-sm-p555-android-6-0-1-marshmallow.html for rooting your device and follow the instruction carefully. 1. Let your device run out battery, this is the only one way to turn off your device. 2. Charge your device up to around 60% full. 3. Then try to enter Recovery Mode. Boot into Odin and load original firmware from http://www dot sammobile dot com/. Let me know your samsung model number? what is “Flashing the ROM with the stock firmware”/?.. how to do it? my j7 2016 struck and not respond . what to do? please tell me the procedure. Flashing ROM with stock rom is install your device with Original android firmware ( original operating system ), it will erase all data on your device and your device sofware like the first time you buy. All settings will be factory default settings. Could you tell me what exact your samsung model number? I will give you the match link for how to flash this rom. The model number is important to flash this ROM, incompatible firmware will brick the device. Issue: Stuck in Bootloop, Samsung logo appears then again phone reboots.